Senior Living Placement offers a high-demand unique service in the booming aging market. It provides you with an opportunity to positively change the lives of seniors in your community. Choice Connections offers its members the online tools needed to meet the demands of this rapidly growing market. Starting a business on your own, spending time and money to find a formula that works, can be exhausting and stressful. Starting a local senior advisor service and leveraging an established online website network makes your hard work pay off at a much faster rate! We are seeking compassionate, dedicated individuals to add to our established website network of advisors, senior advocates and individuals in this unique senior housing and care placement services business category. We want to work with entrepreneurs who aspire to our high standards, commitment to excellence and dedication to serving seniors. WHY CHOOSE OUR SENIOR ADVISOR NETWORK? The Choice Connections website network offers you an opportunity to positively change the lives of seniors and their families while participating in the high-demand senior living and care industry. Providing Senior Living Placement and Care Advisory Services will add value to your community; a value that assisted living facilities and other senior housing and care providers in your area will pay for. Take advantage of the opportunity to assist seniors and their families by finding them a “perfect fit” home when staying at home is no longer a viable option – and you provide this service to them for FREE. Why become a Senior Living and Care Advisor? A Senior Living Advisor is low overhead, home-based venture – no office or storefront is required. Your marketing website targets local senior living and care prospects. Senior Housing & Care Advisory Services focus on the booming aging market that exists throughout the country. This group of individuals, as they continue to age, will require extensive support in the community to help them transition from home to extended care communities. Senior Living Advisors assist seniors and their families by providing all options when they want to choose the best, safest living environment. Senior Living Advisors pre-screen candidates for the assisted living homes in the area, allowing facilities to avoid wasted time with residents that are not well suited for their facility. Senior Living Advisors analyze the cost, amenities and health needs associated with extended care to make sure the family has a good fit home. 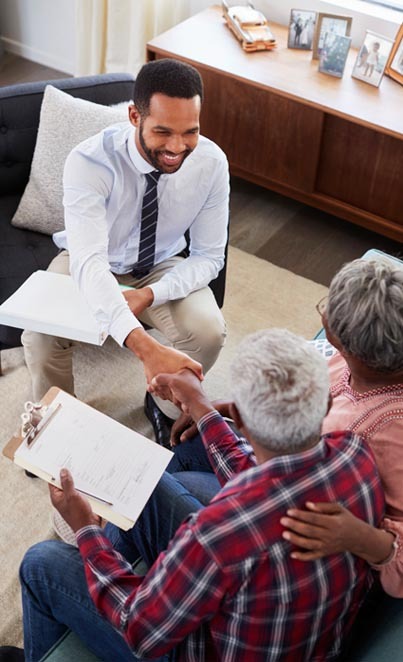 Senior Living Advisors act as a community resource by assisting seniors in finding other funding options and services that may be available to them. Providing Senior Living & Care Advisory Services has the potential to generate income while offering you the opportunity to make a difference in the lives of seniors and those in your community! ChoiceConnections.com is an established website network – providing online visibility and the ability to generate online senior living and care leads from a geographically targeted area. Choice Connections is an established online network helping families find the best senior communities and elder care services in their local area. Making the move to provide senior placement services to residents of your local community is a major lifestyle decision and while you could choose to join a licensed business opportunity or become a senior living advisor or senior placement service franchisee, it’s not necessary to incur this major upfront expense to provide senior housing assistance. 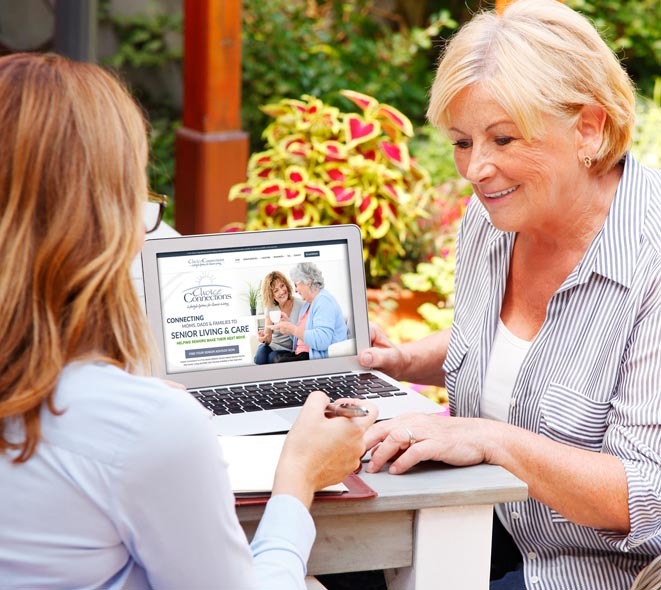 Subscribing to Choice Connections is a cost-effective way to leverage an established website network to generate local leads for seniors and families searching for senior living and care options in your local community. Over the next several years, the number of people over the age of 50 will grow 74%, while the number under the age of 50 will grow only by 1% thus creating the biggest caregiver shortage in US history. The lack of workforce to perform in-home care services will force seniors to look to alternative housing options such as assisted living, independent living, residential care homes, memory care housing and skilled nursing facilities. The coming years will bring tremendous growth – and opportunity – to the senior housing and care industry. Senior citizens will become a huge force in the market place and will need guidance through the maze of options available for assisted living, residential care homes, nursing homes, retirement communities, respite care, dementia and Alzheimer’s care. High quality, affordable senior housing experts will be a much sought-after commodity. Join us on the leading edge of this explosive market by launching a Choice Connections placement and referral service website today. You can take charge of your future and develop a successful senior housing advisory service website in your local market. DISCLAIMER: ChoiceConnections.com does not sell franchises or licensed business opportunities of any kind. The information provided is not intended as an offer to sell, or the solicitation of an offer to buy, a franchise or business opportunity – It is for informational purposes only. Your privacy is important to us. We won’t share your personal information with anyone.